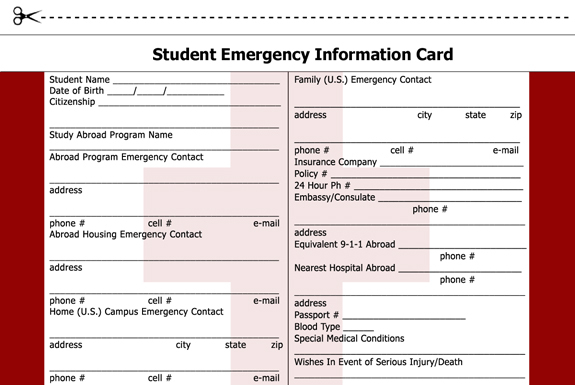 Print out the Emergency Card. Fill it in. Leave a copy with your U.S. emergency contacts, with your abroad emergency contacts, and keep a copy with you at all times.